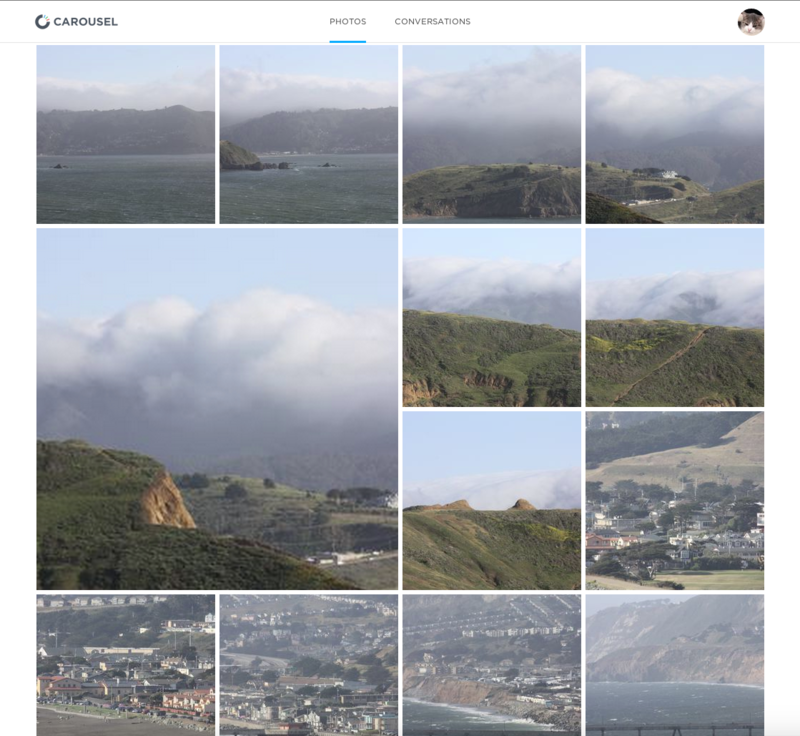 Dropbox Carousel, the photo gallery app launched for iOS and Android smartphones last spring, is now available for the iPad and the Web. A version for Android tablets will be released in two weeks, the company said. The tablet app is scaled and designed for larger mobile screens and works in much the same way as the mobile phone apps. 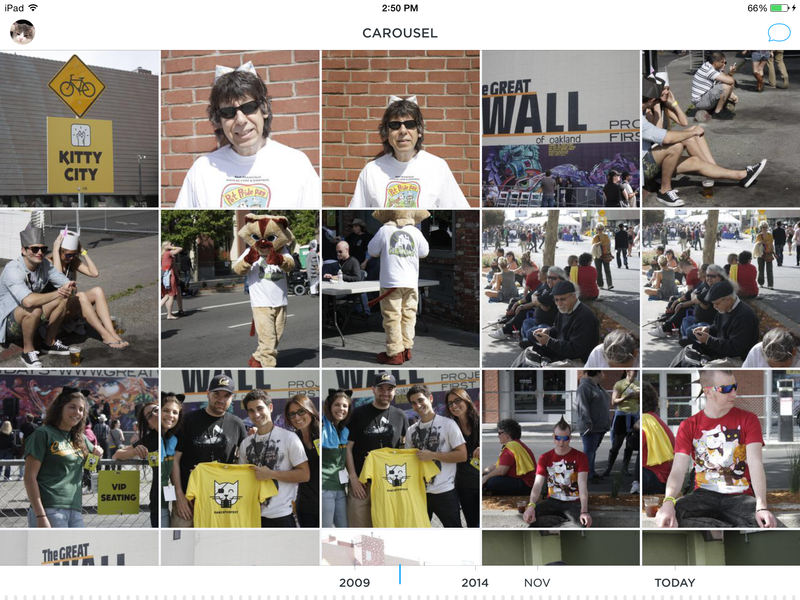 All photos viewed in Carousel actually reside in Dropbox, but the app is designed to work quickly so that accessing and sharing photos in Carousel is indistinguishable from photos stored on your local device. 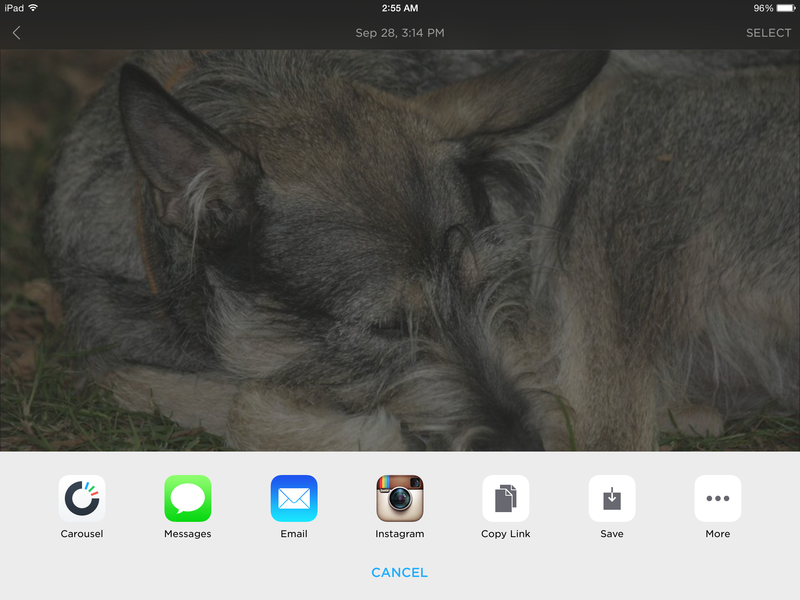 iPad grid view with movable timeline that quickly moves you through thousands of photos. In addition, Dropbox has tweaked the design of Carousel phone apps to make them easier to use and nicer to look at. 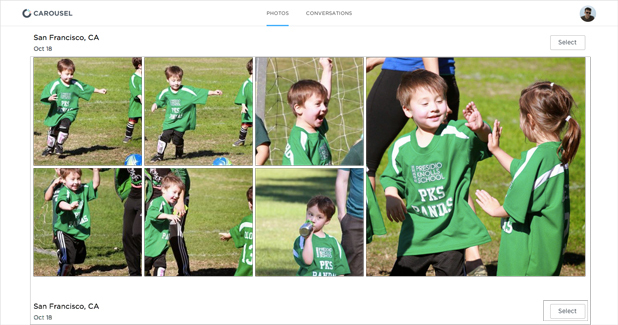 The new version improves the grid view, the lightbox and the conversations interface. In both phone and tablet versions, the newly designed lightbox lets you double tap to zoom, the delete button is more conveniently located and sharing is easier because all photos are already in Dropbox, so you can just tap and start a conversation. Unlike the smartphone versions, the iPad app has a landscape mode for for all functions of the app. You can also now share photos with people who do not have Carousel, though they cannot share back with you unless they have the app.